Adsafe Doors is a privately owned family company which was established in Australia in 1992 and is an active supplier of door technology systems and allied products. The company has grown through market development to consolidate itself as a market leader in door and door control technology with our office and manufacturing facilities in Sydney. Fully focused on the ADSAFE philosophy of “total door control” the continued commitment, to products and services in the following areas, remains our goal. One of the key traits that set us apart is our strict quality control guidelines. We only use the highest quality sliding door repair parts available, including both tracks and rollers. We have seen every sliding door repair disaster problem and know all the major door brands in Sydney. Get in touch with us today for a free quote on your sliding door repairs and we’ll let you know the approximate cost and available times to fix your sliding door. We can even help discuss whether you should replace or repair your sliding door. No matter if you live in the Hills District, Penrith, Blacktown, North Shore, Hornsby, Parramatta or Ryde, we are able to come to you and fix your sliding door. 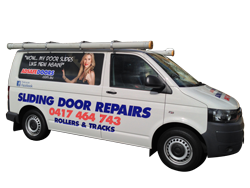 We are the specialist sliding door repair company in Sydney, ready to do an outstanding job on your door.